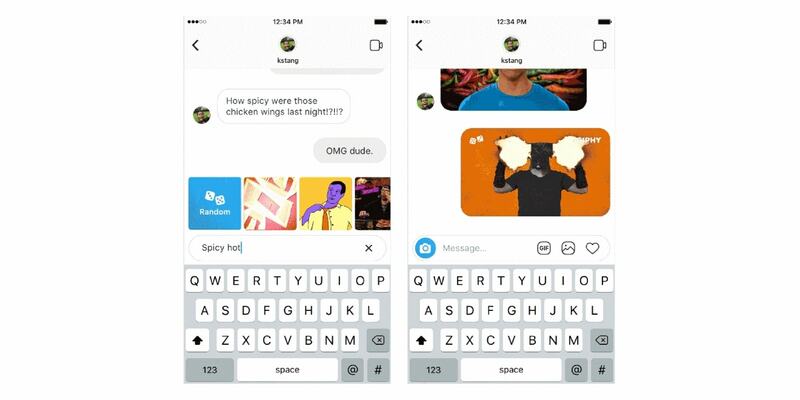 Instagram launched the ability for users to share GIFs in Instagram Direct messages. Our guide will show you how this works. Step 1: On your Instagram home feed, tap the paper airplane symbol in the top-right corner of the screen to go to your Direct message inbox. Step 2: Tap the conversation you wish to send a GIF in. Note: You can also tap the “+” in the top-right corner of the screen to create a new conversation. Step 3: Tap the GIF button at the bottom of the screen. Step 4: Either swipe left and right to browse the trending GIFs Instagram presents you with, and tap one to send it, or type a search query to search for different GIFs. Step 5: If you chose to search for a GIF, swipe left and right on the search results and tap the GIF you want to send. You can also tap the random button to send a random GIF that matches your search term. Finally, you can tap the large “X” to erase your search term and search for something else. Note: The first time you tap “Random,” you’ll see a pop-up telling you how random GIFs work. 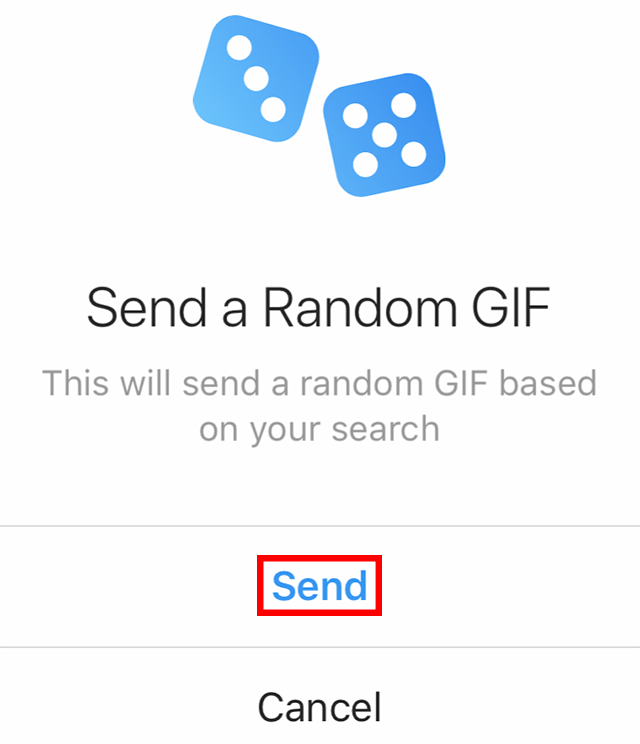 Tap “Send” on this pop-up if you want to go ahead with sending the random GIF.